Once a tidal inlet to the castle now enjoys a rare tranquility in contrast to its turbulent past. 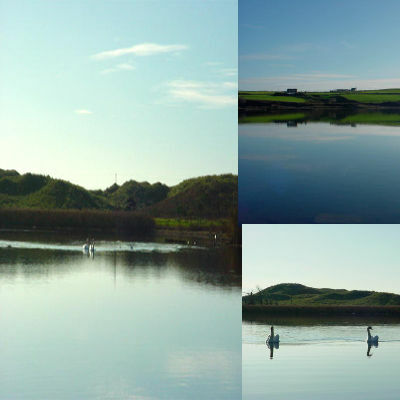 Since being cut off by the sea the ecological importance of Rathbarry Lake has significantly developed. Not only has it become a bird sanctuary but it is now also an important source of research on lichens and other exotic plants. The walls of the old pier still standing remind us of the drawbridge which at one time provided access to the old coastal road to Rosscarbery. A walk leading from the village center all the way to the Long Strand alongside Kilkeran Lake and the wetlands feeding into it. Rich in flora and fauna. Ráth an Bharraigh figure of eight.